You want show-stopping forms. You want higher conversion rates. With Logiforms, you'll get both. Our drag-and-drop form designer uses industry-best practices to create elegant forms that boost conversions. 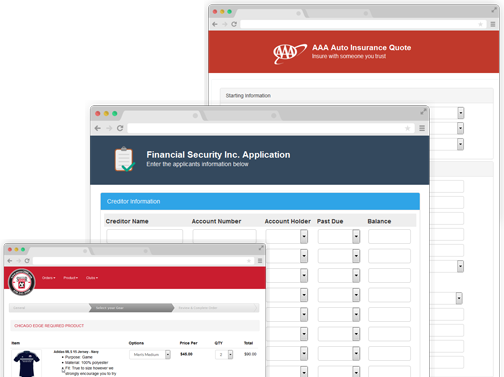 Browse our comprehensive suite of form design features, PDF tools, and custom workflows. With Logiforms, you'll be able to build forms that look as good as your landing pages. You spent countless hours making sure your landing pages are pixel-perfect. So, you shouldn't settle for ugly forms that don't fit your brand. That's why we offer gorgeous forms you can customize to match your landing pages. Logiforms forms are built on the Bootstrap framework. They look amazing. They integrate seamlessly. And, they do it all without a single line of code. You don't need to be a form design wizard. Our software does it all for you. We've designed a user-friendly platform that's specifically designed to convert visitors to customers. 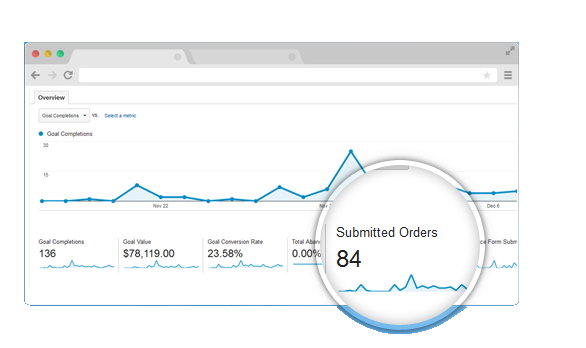 Utilizing Logiforms' Google Analytics integration, follow users as they move through your form, record your company's page views, and track your conversion rate. Our integration with Google Analytics provides crucial information about how you forms perform. To get started, enter your Google Analytics Universal ID. Begin tracking your users' experience, recording page views, and monitoring conversions. With this data, you can find bottlenecks, troubleshoot reoccurring issues, and optimize your forms for better performance and improved conversion metrics. The Georgia-based digital marketing firm powered their landing pages with our advanced lead generation forms. And then they saw their numbers skyrocket. Read on to learn more. Response Media needed a lead generation form solution for marketing campaigns that drove 100,000 submissions daily. The forms' security and stability were critical components. So was integration with third party lead validation services. They needed to validate form submissions in real time. 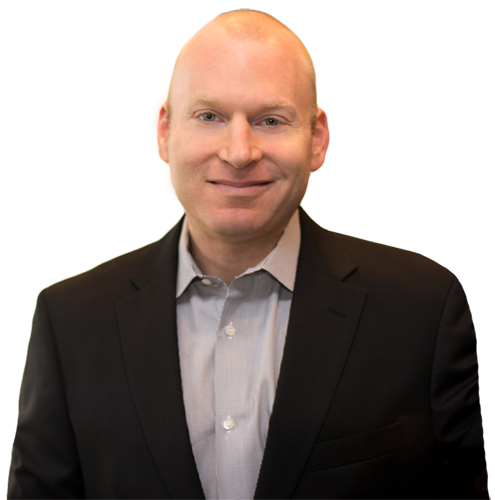 "We needed the best-of-breed solution for lead generation forms and landing pages. We chose Logiforms. It's the most customizable, robust, and scalable platform in the forms space." Do you need to validate a submission using Active Prospect's Trusted Form or send leads to a third party? Don't worry. We've got you covered with a host of accessible integration options. 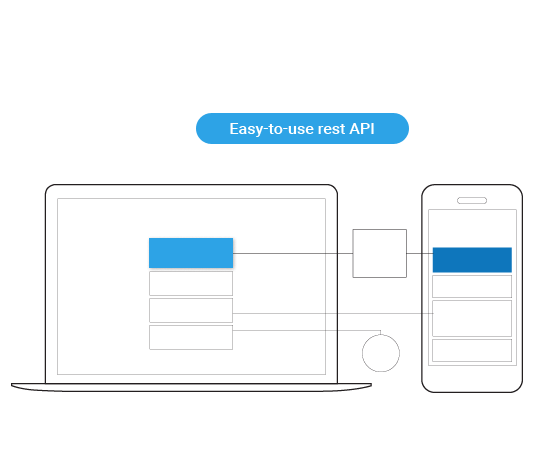 Increase your productivity and deliver glittering results with our easy-to-use rest API. It lets you communicate with any other system and exchange data in and out of Logiforms. 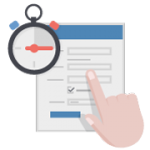 Our HTTP Post engine lets you map your form submission values to any receiving script, and post your form submission data to any third party URL. It also gives you a simple way to parse XML or JSON responses. When you build on Logiforms, you build on a scalable platform. We've included a library of design features and tools that are tailor-made for marketing agencies, media companies, and web developers. Leads come in. You don't want to wait to send a response. Use Logiforms to follow up with automated, scheduled emails. As a high-tech marketing agency, you know exactly how many of your users are on mobile devices. Because of that massive, passionate user group, you need forms that instantly adapt to any mobile device. Our forms look great and work great on smartphones and tablets. Use our platform to collect data in two, simple steps. If an error occurs during data collection, this tool gives you the option to automate your follow-up. Our forms embed seamlessly onto your website, meaning nobody can tell that you're using our platform. For the utmost privacy, contact us to learn how you can hide our name, domain, and source code. Get started today on the 15-day free trial and start building smart, secure mobile-friendly forms, PDFs, and web portals to automate your business.